Happy Monday! How was your weekend? I love social, active weekends. They’re the best in my books. And mine was chalked full of good stuff. Activity #1: Lab. 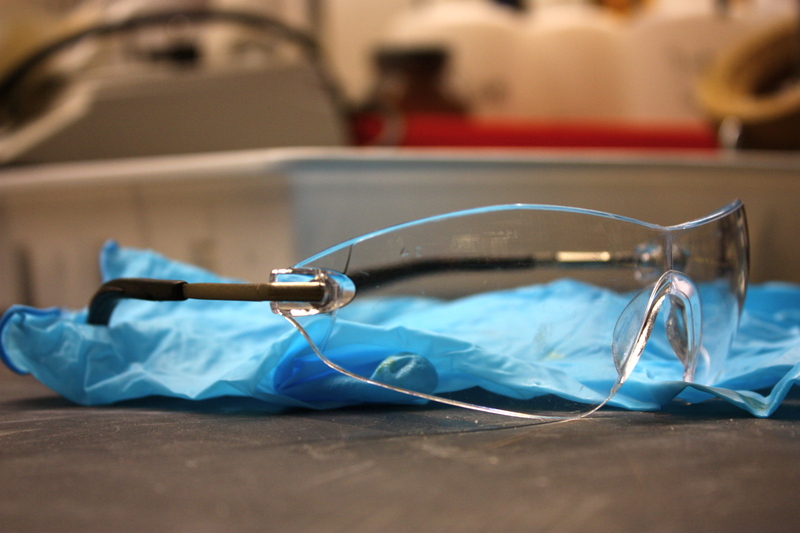 I’m at this really exciting, new phase of my graduate research where I’m working with an engineer in our group (our group is half chemists – I’m one of them, and half engineers) and we’re making testable materials. This is fun not only because the engineering side of things is challenging, but the labmate I’m working with has become quite a friend. So, not only did I get work accomplished on Saturday, but I had a good time with my friend too. Activity #3: Date Night. We spent Saturday night on a double date with some great friends. Games, dinner at a local pizzeria, and a movie. Our dogs played in the backyard and ran around the house. Frolicking dogs = one of life’s simplest pleasures. Activity #4: Running with friends. 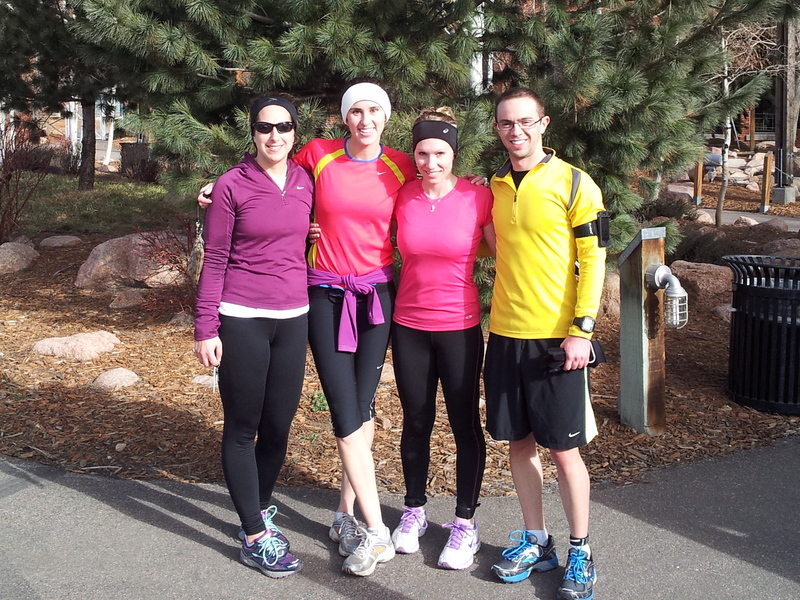 Liz, Lauren, Marco, and I met up in Denver for a gorgeous 10 miler on Sunday. I had a blast running with these guys and I’d never have known about these awesome runners if it wasn’t for Twitter. Twitter is great because it connects like-minded, outdoor-loving, fun, social runners. I love being a part of the blogging community for this same reason. Activity #5: Soccer. For the 4th year in a row now, I’m on an IM soccer team. We got together for practice last night and I just loved it. I’m one of the least coordinated players you’ll ever meet, but tell me to run down the field and guard someone, and I’m all over it. What I lack in skill, I make up for with vigor. What did you do to stay active this weekend? Have you ever played on a soccer team before? If so, what position were you? 1. 23 on Saturday. I was quite inactive yesterday. 3. Nope. But I played a parents vs. kids game when my oldest was 8 and I was in marathon shape and that wore me out. I have no coordination but it would be fun to play and get the fitness benefits. Oh, and there’s nothing satisfying about cleaning or fun about chemistry. Date night and meeting new runners is pretty rad, though. woo hoo! yay for social weekends! lets do it again soon! what a great weekend! love the group pic! So glad we were able to get together!